The Third Largest Half Marathon in the Kansas City area! Not up for the Half Marathon? Try out our brand new Jewell 5K course and you’ll still load up with a short sleeve tech shirt and commemorative finisher medal! Both runners and walkers are welcome to participate in the 5K. You will also receive free photos, chip timing, and special offers from our sponsors! LOCATION: The race starts and finishes at William Jewell College (500 College Hill Liberty, MO 64068). 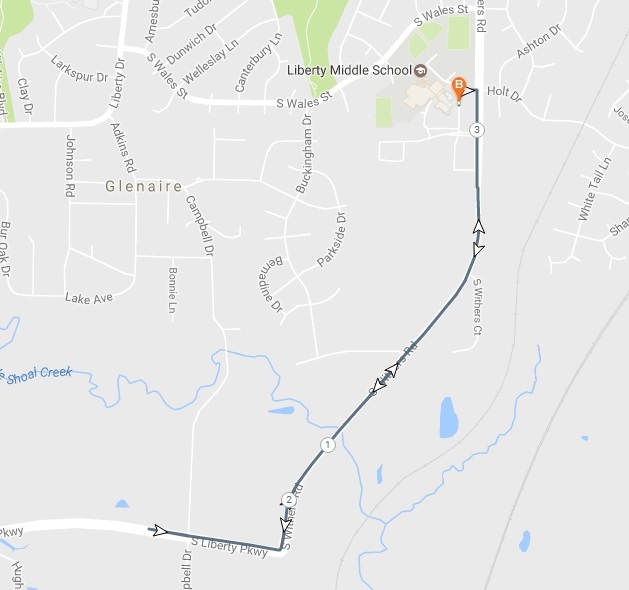 COURSE: CLICK HERE to see the 5K course! Sumner One Pint Size Patriot Kids Dash at 9:30 a.m. The first 150 kids ages 3-10 to check in on race day will receive their own medals when finishing a 100 yard dash on the William Jewell College Football Field! A free family activity area will be on site from 7:30 a.m. to 11:30 a.m., featuring inflatables, music, face painting, photo booth and more. Children must be accompanied by an adult. Thank you for your participation! Your entry fee supports community LiveWell grants distributed by the Liberty Hospital Foundation. Read more. 2. transfer your registration to someone else by Feb. 24 only. Email any change requests to the Race Director. We will run in rain, cold, or snow. However, if the race is canceled in the event of unsafe weather or other unforeseen conditions, no refunds will be given. AWARDS: All runners will receive a great finisher’s medal! A Prize Package will be given to the top three male and female finishers overall as well as overall Master’s male and female winners. Medals will also be given to the top three finishers in the following age groups: 14 & under, 15-19, 20-24, 25-29, 30-34, 35-39, 40-44, 45-49, 50-54, 55-59, 60-64, 65-69, 70-74, 75+. TIMING, RESULTS, & RUNNER TRACKING: Download the RACEJOY app! STROLLERS: Yes, strollers are allowed! We ask that participants with strollers, baby joggers or similar devices to start ​at the back of the runners and walkers. PETS: Due to the size of the race we will not be able to allow dogs on the course for the safety of other runners.